A karategi (sometimes called a gi for short) is the white uniform worn for karate practice. 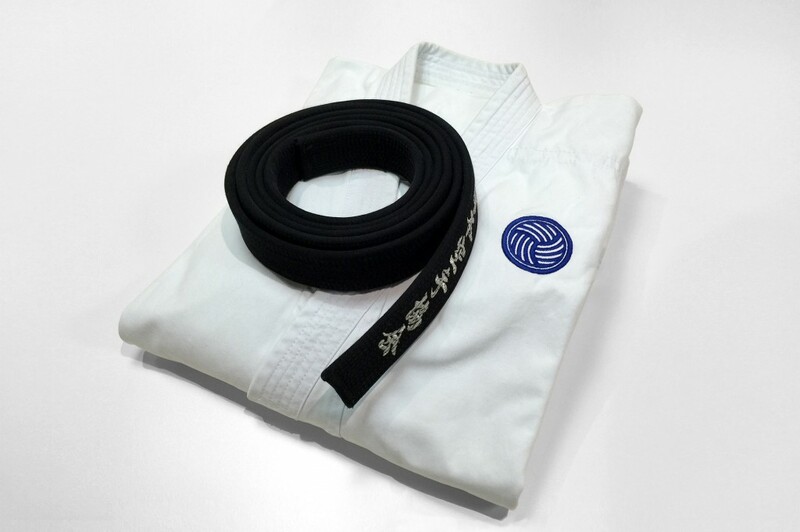 It is also referred to as a dogi (the clothes used to practise the way) or keiko-gi (practice clothes). 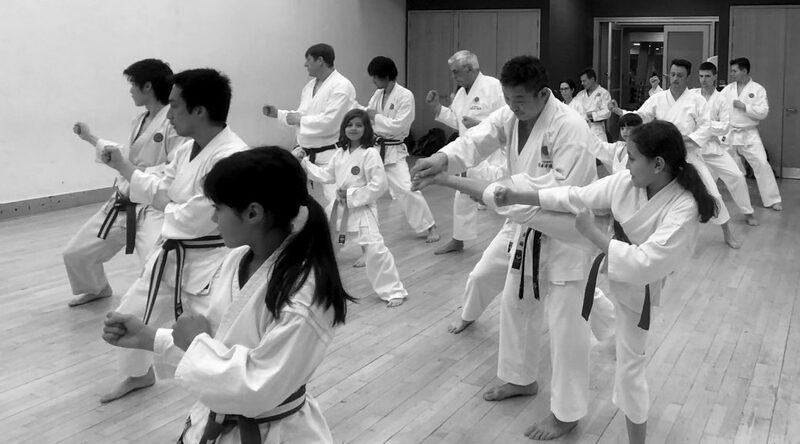 There are various kinds of karate-gi. 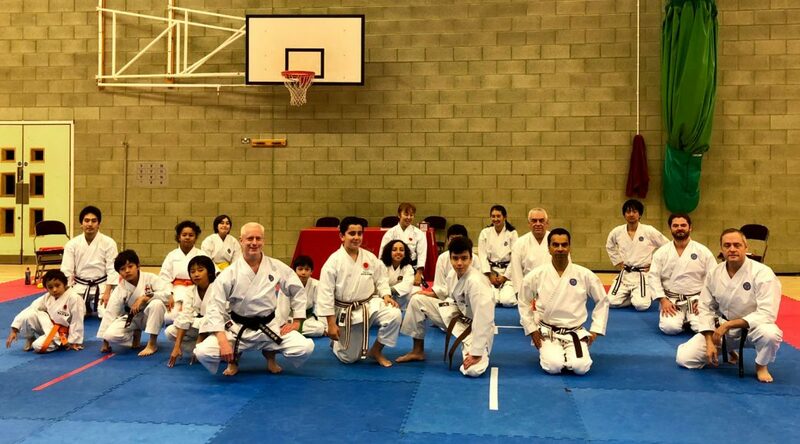 For most people, particularly for children, the best thing to do is to start karate in a tracksuit, then buy an inexpensive karate-gi once you are sure you want to continue with the training. We usually have a stock of club uniforms available so please ask if you are interested in purchasing one. All the above come with the Shiranamikai crest specially embroidered on the chest, so you can represent your club with pride! Made in Japan: expensive but worth it! MH11 Hirota High quality smooth cotton, middleweight. Very comfortable and easy to move in. TAW Tokaido High quality cotton, middleweight, tournament cut (i.e. with shorter sleeves and trouser legs). Very hard wearing. Pinack ‘Kumite’ Hirota Extremely lightweight cotton/poly blend, quick to dry with little or no ironing needed. SB11 Shobu High quality cotton, middleweight. Shobu trousers are tailored and feature a hakama-style tie-waist. The high quality cotton used for karate uniforms from Japan is typically a bright white, which when new appears to have an almost blue tint. This fades a bit with washing and wear. If you look after the dogi it will hold its shape and feel more and more comfortable as time goes by. Unfortunately, perspiration tends to turn white materials yellow over time – but you can limit this by keeping the dogi as clean as you can between training sessions. Ideally, wash your karate-gi after every practice. If it is not possible to wash it straight after the session, make sure you take it out of your bag and air it. When sorting the laundry never mix the white items with brights and darks. Use the washing machine’s cold water cycle. If your machine will not do a cold wash, 40° is the highest setting you should use. Try to avoid fabric softener as this will cling to the fibres of your dogi over time, reducing its sweat absorbency. When the wash has finished, take out your uniform straight away. Give it a shake and pull out the creases in the cotton to make the fabric lie as smooth as possible before you hang it out to dry naturally. Never tumble dry as this will cause excessive shrinkage. Once the uniform is dry, you may wish to iron it – depending on how successfully you managed to pull out the creases earlier on! 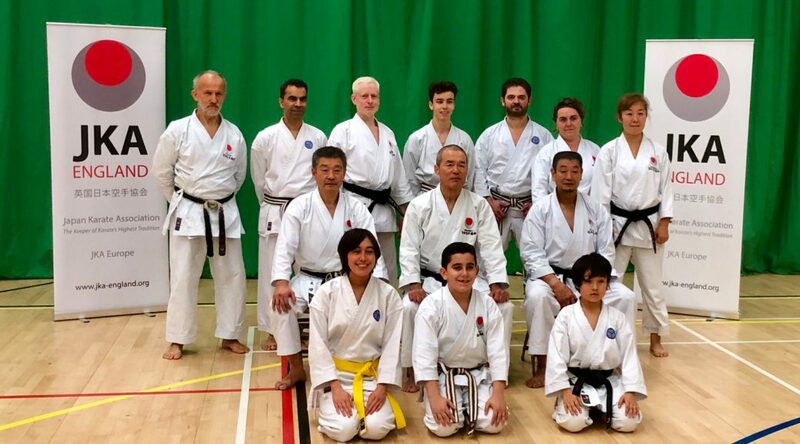 Depending on how often you train and how much time is available to do laundry in between sessions, it might be worth having more than one karate-gi. All karate-gi used to be made of 100% cotton. In recent years, manufacturers have also been offering uniforms made of special materials. These are typically made from materials where each thread has a polyester core but is wrapped in a cotton outer. This kind of material has the smooth feel of a high quality shirt and offers a number of advantages over cotton. For example, it is much easier to take care of (withstanding higher temperatures in the wash and drying very quickly), it is lighter (which is a particular plus point when travelling) and it allows faster diffusion of sweat. These next generation uniforms are also very easy to move in – you will never have the feeling that your trousers are catching on your knee during mae-geri! However, the downside is that these uniforms are extremely expensive. And while they diffuse sweat quickly, the material is not as absorbent as pure cotton. How about the heavyweight options? Most karate-gi manufacturers offer a heavyweight uniform. These are even more hard wearing than the middle weight options and some people find the extra thickness (and noise!) of the material satisfying. Personally, we find the thicker dogi to be a bit uncomfortable – the middle weight ones allow for much greater ease of movement. There are so many manufacturers to choose from but from experience, we tend to stick with the aforementioned brands. 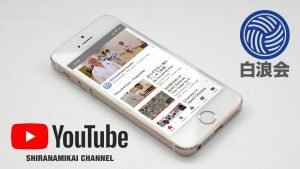 A German manufacturer of karate-gi, ‘Kaiten’, produces a range of dogi in a wider cut which may be worth considering if you are on the stocky side. They are made with European body shapes in mind and are slightly less expensive than the ‘made in Japan’ brands.